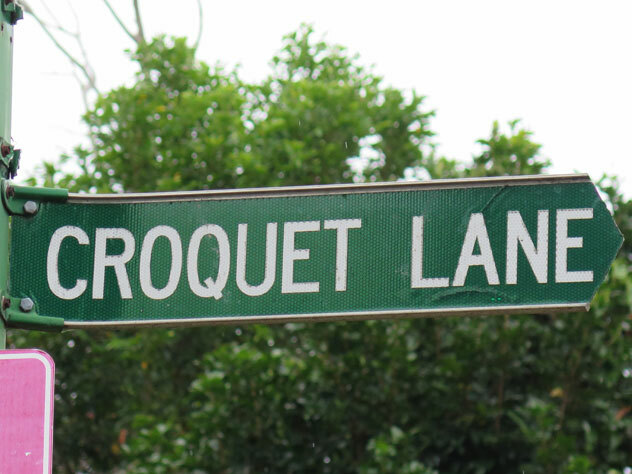 Why is your Mosman street called Water Lane, sir? Because it has no water and it's no lane as it's all grass and steps. 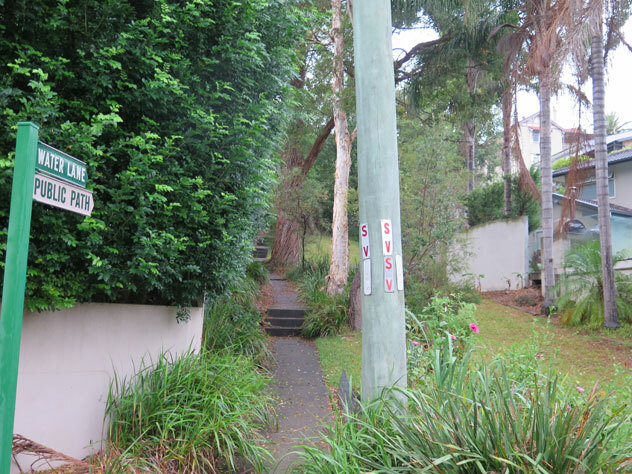 Guess what this Mosman lane leads to. 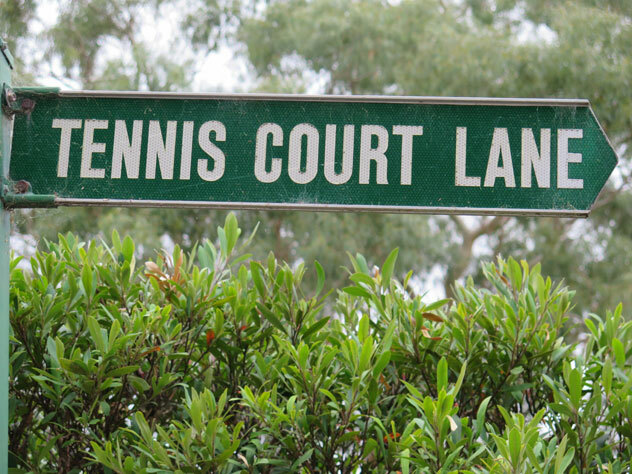 Yes, but there are six of them, and all grass courts. 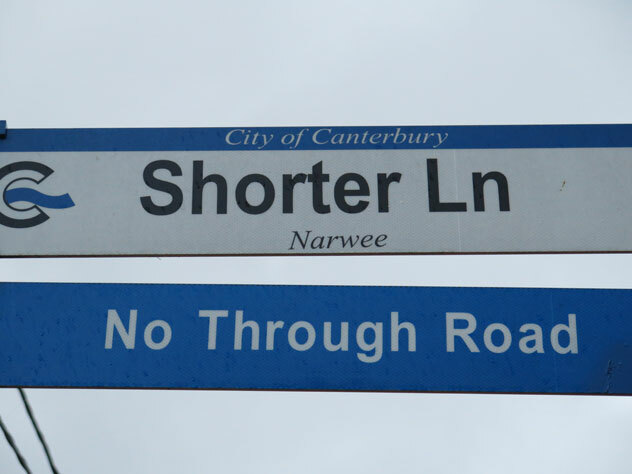 How, then, can Narwee claim a shorter one? And Darlinghurst is in the claims business too. 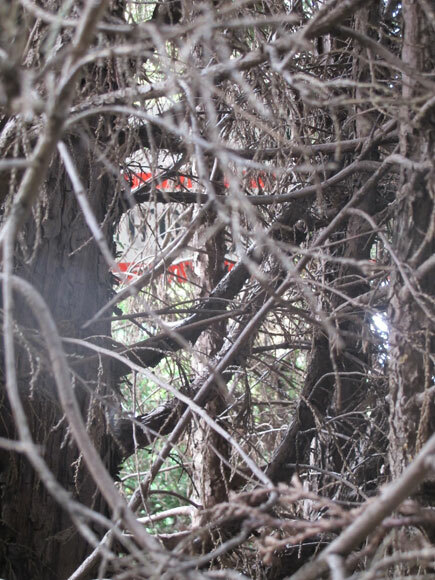 Tiny Powell Street, Neutral Bay, wants to remain a secret. 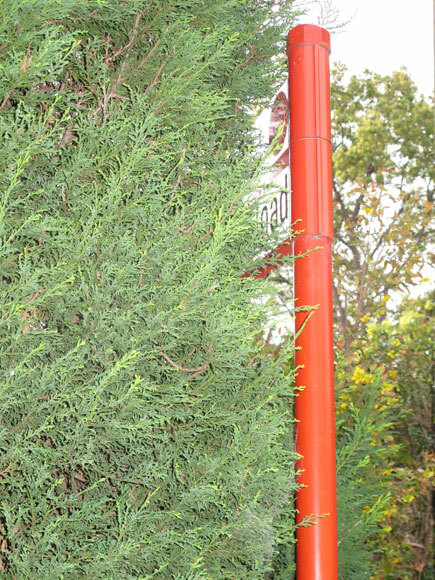 But what about the other side of the sign. 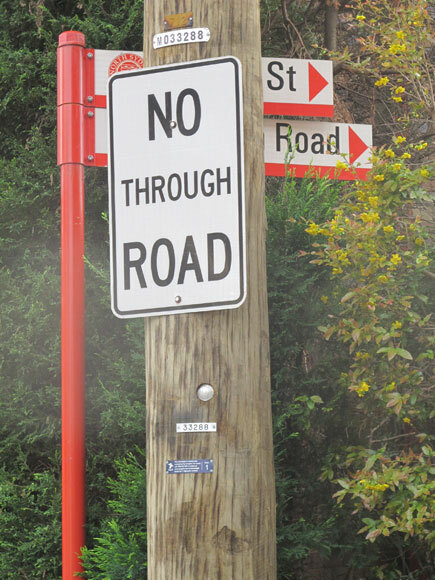 Wouldn’t drivers coming from the other direction see the street name? 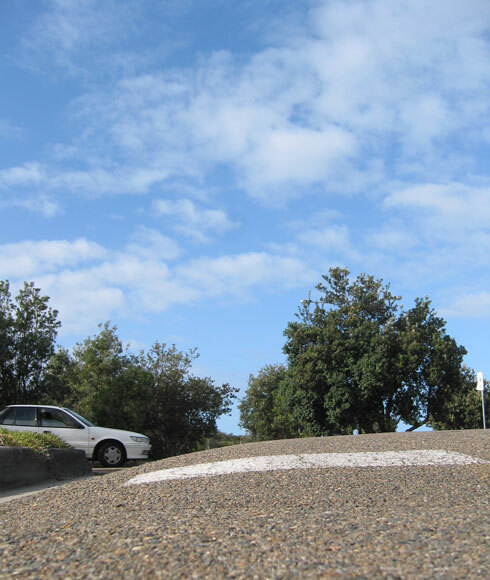 Where are the biggest speed humps that you’ll ever find? In Huston Parade, North Curl Curl.